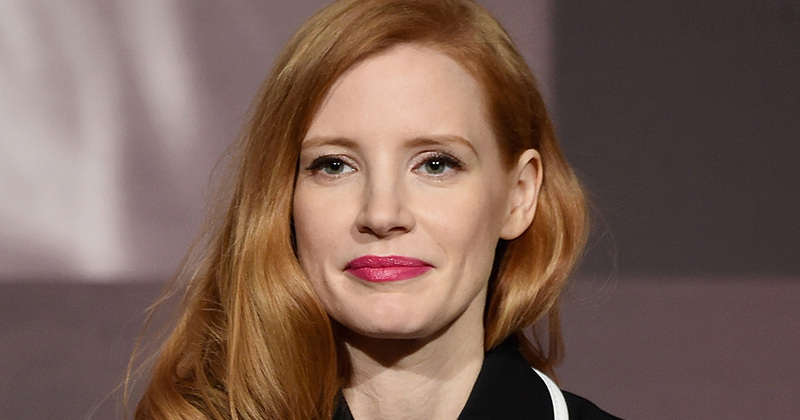 While on the promo trailer for her new movie The Zookeeper’s Wife, Jessica Chastain opened up about how discrimination affects all marginalized groups, and we can’t stop applauding what she has to say. We already knew that Jessica Chastain was one heck of a badass. The actor has previously spoken up about matters dear to her heart, like calling out men who wouldn’t pay for women’s health care, and has been a big proponent of the Women’s March and of women’s rights. What’s more, she regularly speaks up for female film makers, and of the importance of having women at every level of the film buisness. Now in a new interview with the legendary Katie Couric, Jessica Chastain has spoken about how having an adversary has woken people up to the struggles faced by marginalized groups. The star noted that she had seen an increase in feminist pride among men and women since the election of the 45th President of the United States, and said that she believed that people were coming together for a common cause. Chastain went on to say that she was concerned for healthcare for women, noting that by revoking women’s choice when it comes to sexual health and birth control that women would be removed from the workforce and out of higher and further education. "We need to be loud and we need to fight for it," she said. Jessica Chastain also spoke about her upcoming new movie The Zookeeper’s Wife, which follows the true story of two Polish zookeepers, Jan and Antonina Zabinski, who saved over three hundred people from the Nazis by hiding them at the Warsaw Zoo during World War II. The Zookeeper’s Wife is set for release on March 31st.